Don’t you just love weekends, no morning rush, no 9’o clock meetings and to top it all no Lunch boxes to pack. 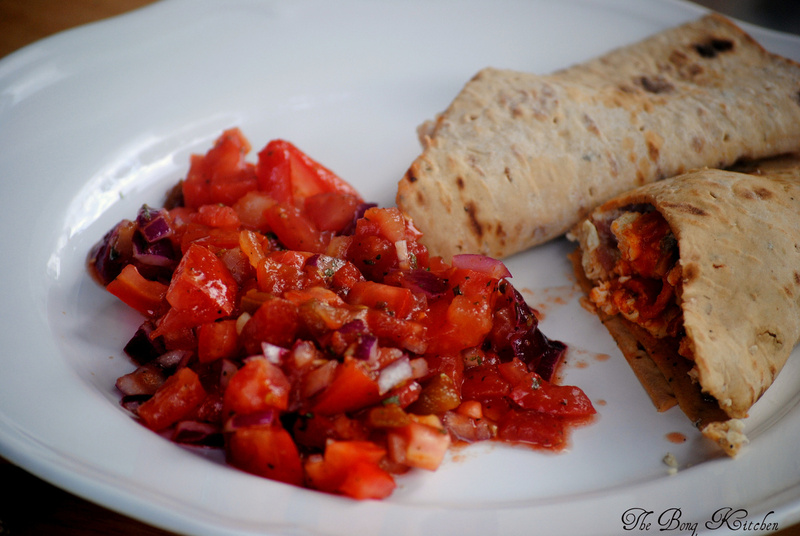 Weekends are just reserved for lazying around, aimless strolls in the park, we have one right behind our apartment. One of the things I love about this part of the world is the quiet Saturday and Sunday mornings. Much as I love India, to be honest I could do without the endless door bells of the bai, driver, cleaner, milkman, sweeper and the whole lot. My weekend space is respected. When I tell this to my mum and ma-in-law, I am told that I have lived outside India for too long and my way of life is largely influenced by the west, oh well, my reaction is just a shrug. The thing is that week days are so packed for P and me that those 2 precious days are all that we get to talk about, laze around, make endless plans for life . In all this however, there is another thing, catching up with family, Skype calls to the Parents and in-laws and they take a lot of time. Ma with her endless query of whether we are alright, eating well, working too hard and ma-in-law with her, take good care, eat properly, do not stress advises the calls go on for ever, so before you know it is way past the hour to cook lunch.. So the weekends we eat at home just kind of goes on to be a brunch. As for this weekend, it was neither lazing around, nor Skype calls or procrastination, it was furniture shopping, which means a belly full of food and endless energy.. 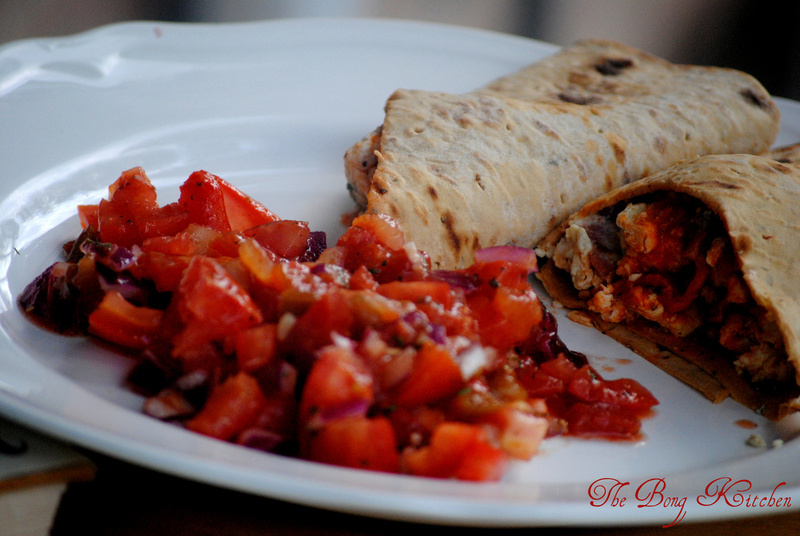 So it was scrambled egg and Italian salami wraps with a high energy power packed tomato salsa on the side. 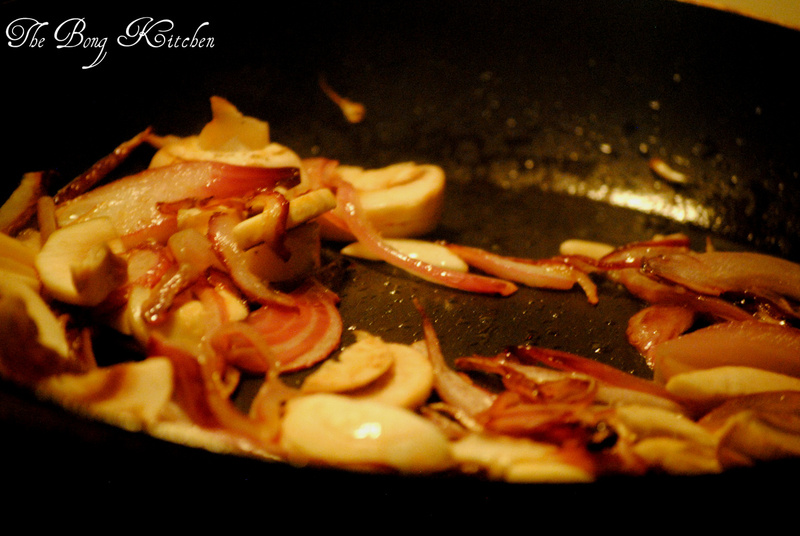 Heat a skillet with olive oil and add the onions and the garlic.Saute gently and make sure the onions do not burn. 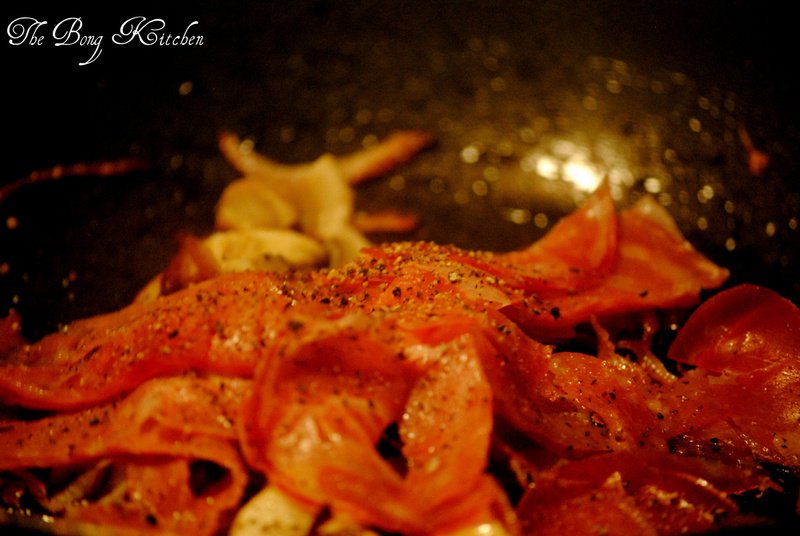 Once they are translucent add the mushroom slices and let it cook for about 2-3 mins. Now then add the salami strips and toss it around finally with the egg whites and the milk and salt. 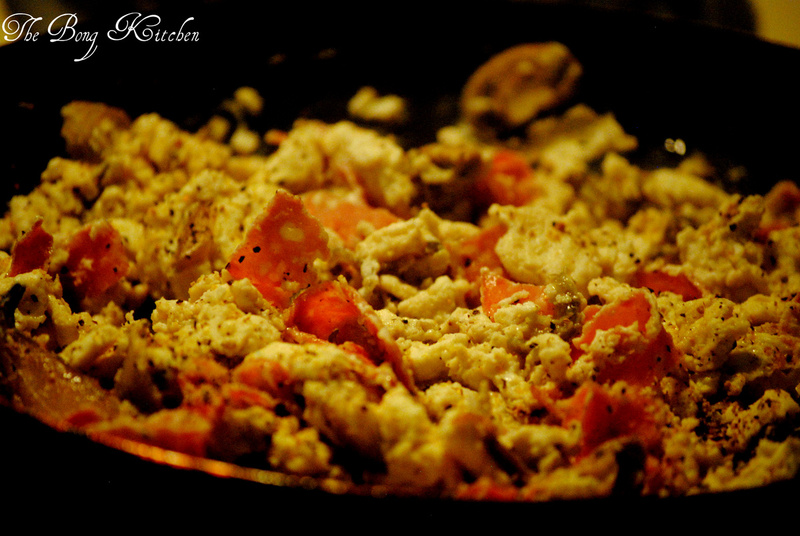 Cook it as you would cook a scramble and when the eggs come together, add the pepper. The filling is ready. Take a wide bowl and with the fork smash and break the tomatoes, take care not to completely crush them, just half broken pieces add the rest of the ingredients and toss it together. 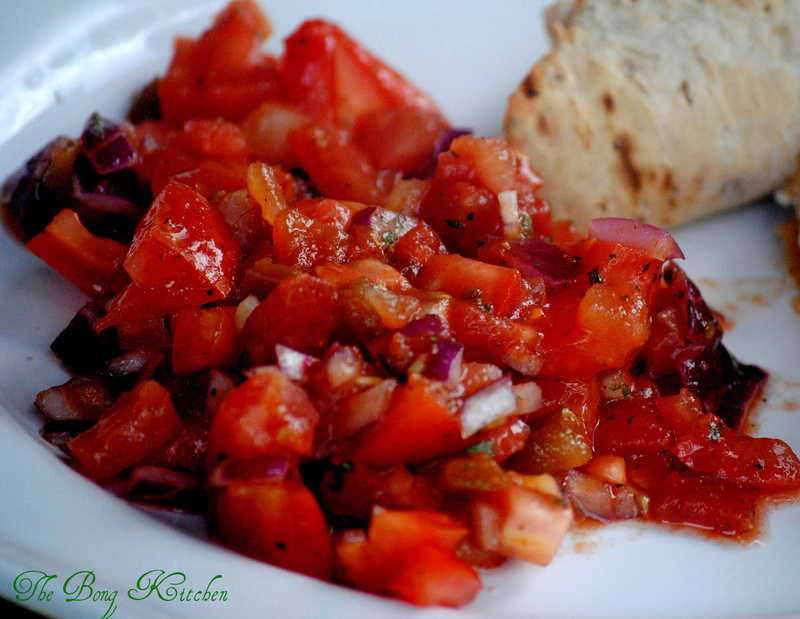 Salsa is ready.